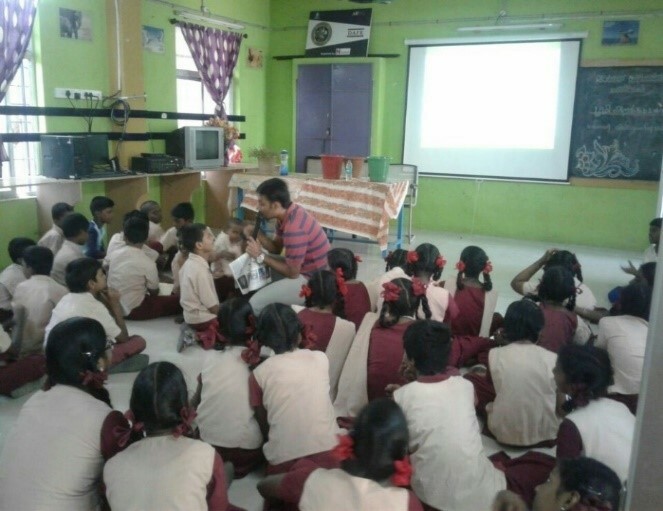 -Volunteers have reached out to 5000+ school children : July Activity accentuating the importance of waste segregation, composting and how landfill pose a threat to healthy living. 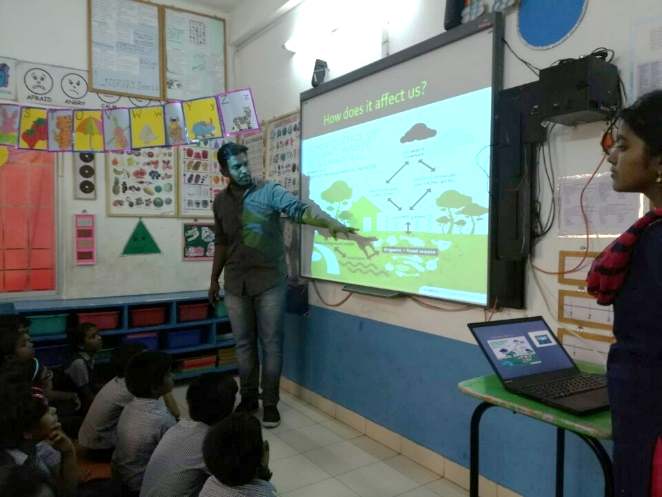 -Bhumi Eco-Club : Bhumi Eco-Club initiated ; Eco-Champ badges awarded at the end of every session for students answering the Quiz related to the topic discussed. 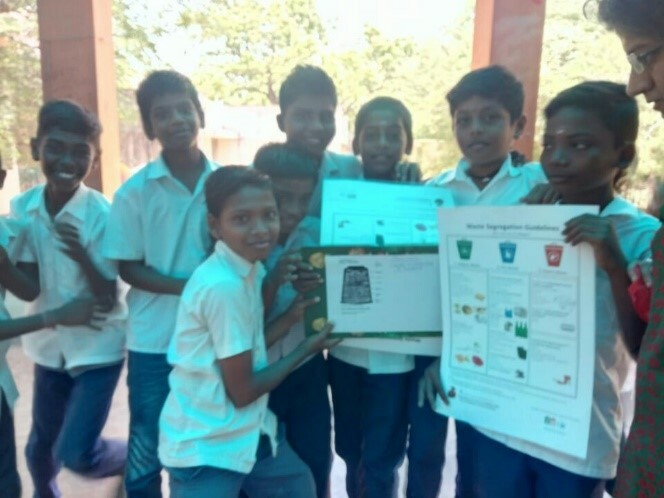 -Output at 12 Schools : Students have been enlightened with concepts and importance of waste segregation ; Guidelines to segregate in school and at home. -Seedball activity in 12 schools. -2000+ Seed Balls in total. 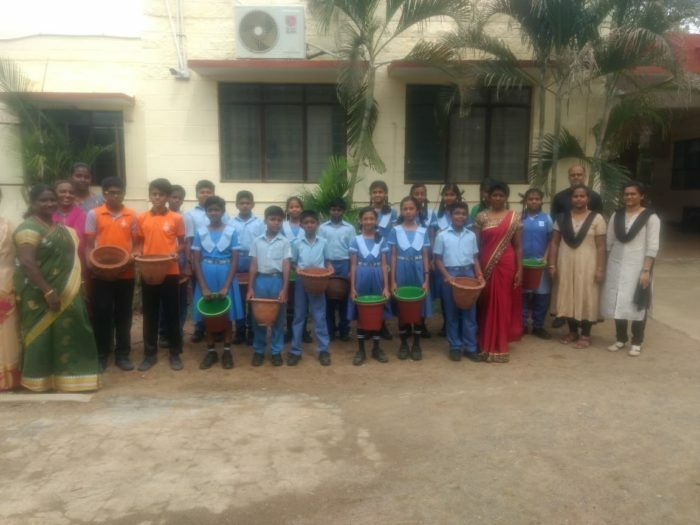 -Waste segregation and seed ball making in 14 out of 15 schools. 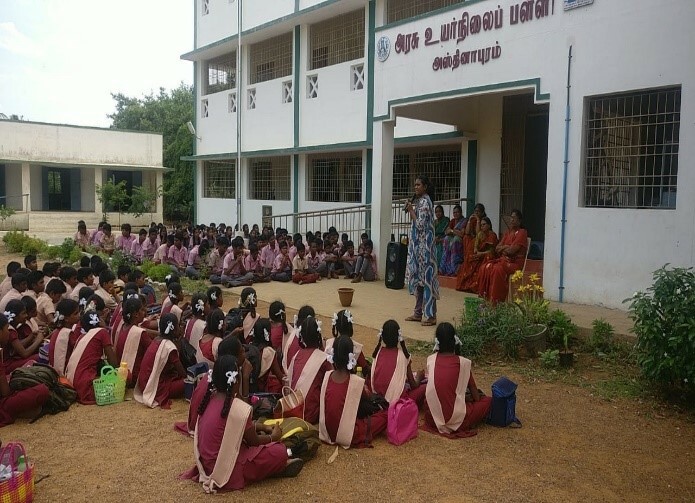 -Seed ball activity in 12 schools.